On 29 November 2016 the deadline for the transposition of Directive 2014/66/EU on the conditions of entry and residence of third-country nationals in the framework of an intra-corporate transfer expired. This so called ICT Directive regulates the temporary secondment of managers, specialists or trainee employees who are transferred from a company outside the EU to an entity of the same undertaking or group of undertakings inside the EU, while staying on their home country employment contract, and who reside outside the EU at the time of application. 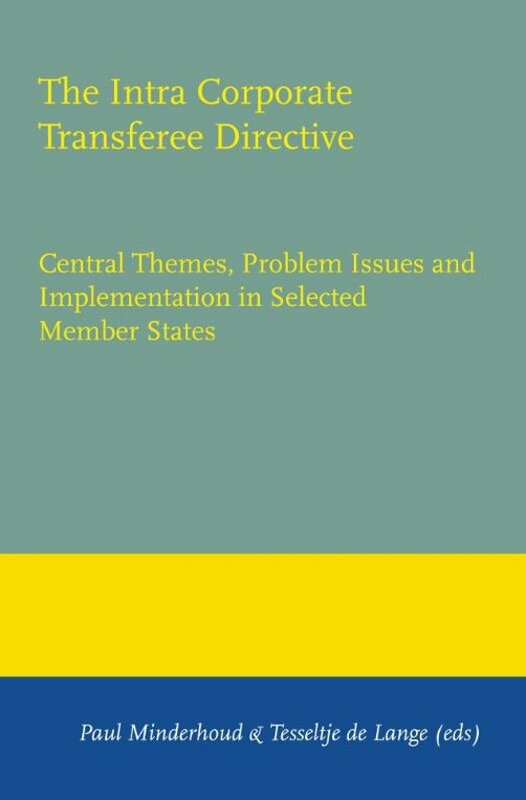 This book highlights the central themes, problem issues and implementation in selected Member States of this ICT Directive. 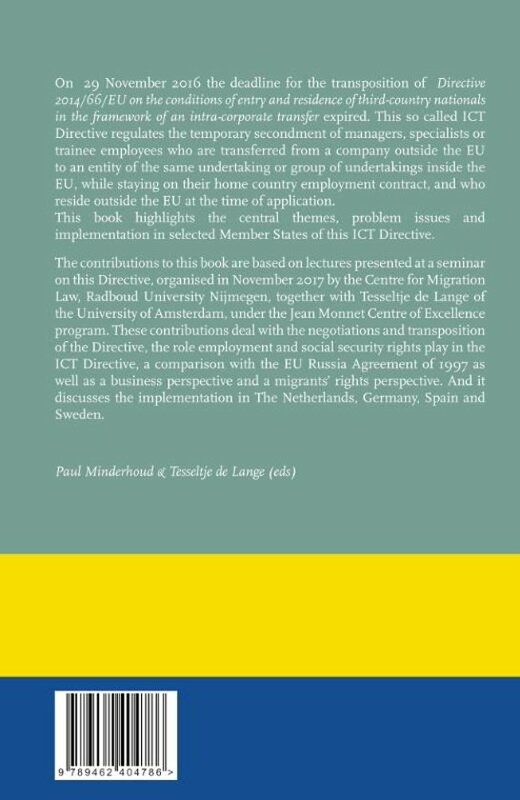 The contributions to this book are based on lectures presented at a seminar on this Directive, organised in November 2017 by the Centre for Migration Law, Radboud University Nijmegen, together with Tesseltje de Lange of the University of Amsterdam, under the Jean Monnet Centre of Excellence program. These contributions deal with the negotiations and transposition of the Directive, the role employment and social security rights play in the ICT Directive, a comparison with the EU Russia Agreement of 1997 as well as a business perspective and a migrants' rights perspective. 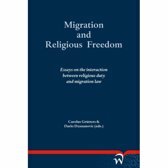 And it discusses the implementation in The Netherlands, Germany, Spain and Sweden.